Section 75 of the Northern Ireland Act 1998 requires public authorities, in carrying out their functions relating to Northern Ireland, to have due regard to the need to promote equality of opportunity and regard to the desirability of promoting good relations across a range of categories outlined in the Act . 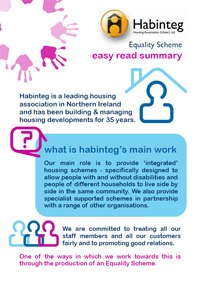 In our equality scheme we set out how we propose to fulfil the Section 75 statutory duties. 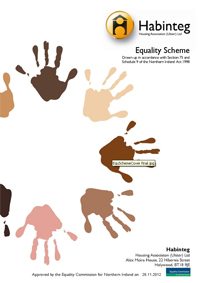 You can download our Equality Scheme below. 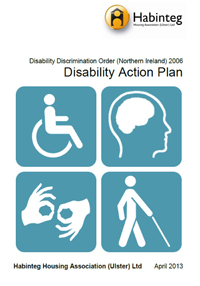 Also available for download are our Easy Read version and our Disability Action Plan.